As with so many parish churches, exact dating of the various stages in its development is as much an art as a science. 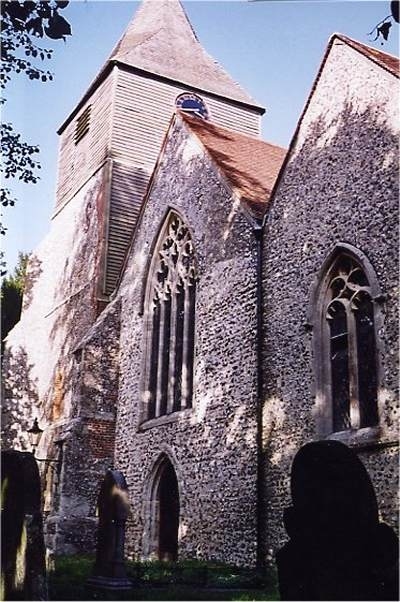 The Church of Saint Peter and St Paul in Lynsted has a long recorded history beginning as a chapel of the church of nearby Teynham which is itself noted in the Domesday Book. Early clues are often found in fonts that may survive other changes brought about by fire, collapse or a change in fashion. We know, for example, that the modern St Catherine's Church in Kingsdown is built on the site of an earlier wooden church. The same may be true for our own church as it grew with its community. The Priest-in-Charge is Revd Steve Lillicrap, Teynham Vicarage - Telephone: 01795 522 510. A guided tour can be arranged for a small contribution to the church funds. There does not appear to have been a church in Lynsted before the Conquest, as it is not included in the list of churches under Teynham in the Domesday Book. 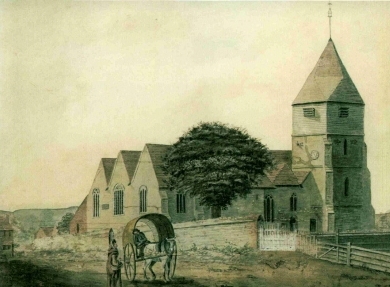 Lynsted Church is mentioned as a chapel of "Tenham" in the Archbishop's Black Book and was given, as well as Teynham, Doddington and Iwade, to his brother, the Archdeacon Simon Langton, in 1229 by Archbishop Stephen Langton. It is dedicated to St Peter and St Paul. According to Aymer Vallance who lived at Aymers near the Church, the earliest part of the church is the wall under the tower, which may be as early as 1180, and that the tower, which dates from the 13th century, stood outside the church until the latter was lengthened to include it. He stated that most of the main building is 14th century; the west window is a good example of that period. The south aisle and pillars are 15th century.